Cathay Pacific First Class is one of the nicest in the world. The service is amazingly attentive, including a hand-written note to go with your meal. The food is amazing and completely made to your specifications like when I asked for every breakfast side and nothing else on one plate. The bed is my favorite in the air for how much longer and wider it is than most flying beds. Not only is Cathay Pacific First Class great, but historically it has been very easy and cheap to book with American Airlines miles. American Airlines charges only 67,500 miles each way in Cathay Pacific First Class between North America Southeast Asia. For comparison, United charges 120,000 miles for its partners’ First Classes to the region and doesn’t have any partners with a product to match Cathay Pacific’s. Cathay Pacific has historically opened up all but one unsold First Class seat on its flights between the United States and Hong Kong in the last few days before departure. It was very common to see 3-4 First Class seats on a single flight that were bookable with 67,500 American Airlines miles. Unfortunately that has not been the case for a few weeks. Award space is not completely gone in Cathay Pacific First Class at the last minute, but it is severely diminished. I searched Cathay’s six American routes to and from Hong Kong for award space from now through November 13 (Los Angeles, San Francisco, Chicago, New York-JFK, Newark, and Boston). Here is all the award space, with each entry representing a flight with at least one First Class award seat. Now that might not look all that bad as there are at least seven flights with at least one seat in the next three days. But over that period there are dozens of flights in both directions, and very few have all their First Class seats, or all but one, sold. Under Cathay Pacific’s old system, there would be dozens of flights with award space in First Class, many with multiple seats. Those days have been over for a few weeks. I don’t think they’re coming back, but we can sure hope that they do. Cathay Pacific First Class award space is still very much bookable with 67,500 American Airlines miles, but there is less of it than there used to be. That’s a real shame since the product is awesome, and American Airlines miles are easy to get. 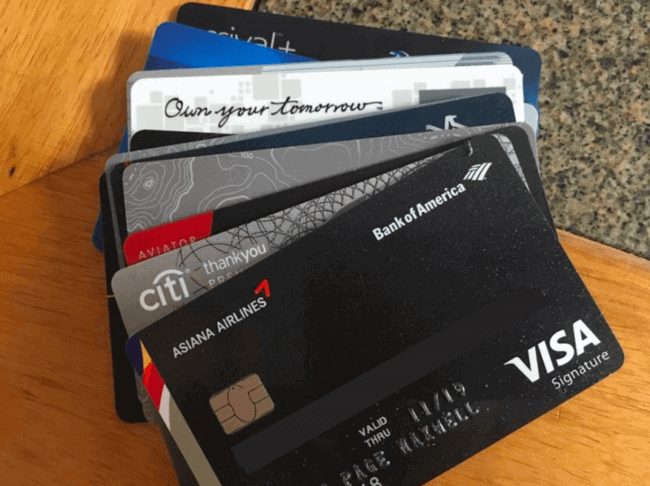 Right now the Citi® / AAdvantage® Platinum Select® MasterCard® and CitiBusiness® / AAdvantage® Platinum Select® World MasterCard® are each offering 50,000 bonus American Airlines miles after $3,000 in purchases made with your card in the first 3 months the account is open. Meet both minimum spending requirements for 106,000 American Airlines miles. hows business class space looking? Thanks for the update, even though it’s bad news. How’s space for 2 people? I’m not sure why, but my wife gets upset when I vacation without her. no point searching for Newark since that flight doesn’t have F.
15 cents down the drain 🙁 I forgot about that. Seriously. How is this even legal?